My son asked me what the point of a Calzone was; why not just eat pizza if it’s all the same ingredients? It’s been my experience, as the only one that cooks dinner for my family except on rare occasions, that everyone has different tastes. One of us loves mushrooms, the rest don’t. Several of us love peppers, the other doesn’t. Cooking a meal in the house is more like being expected to be a short-order cook. Calzones are actually perfect for our family because we can choose our own ingredients to be included. We also love to make our base with spicy sausage and sweet marinara because the balance of taste is astonishing! Did you know that the Calzone was actually invented because it was an easier way to enjoy the taste and ingredients of a pizza but was easier to eat while walking the streets of Italy? 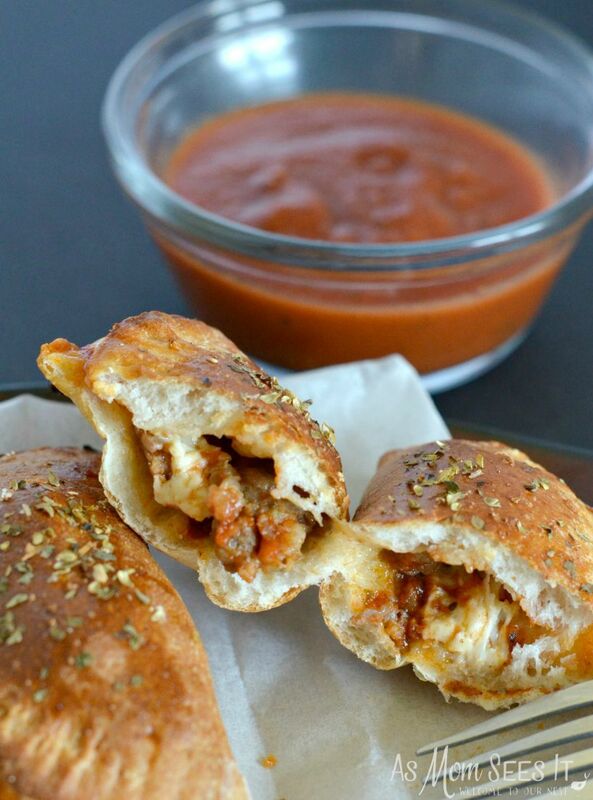 While I’d prefer my kids not leave the dinner table, these mini calzones are easy to make, easy for the kids to help, and disappear quicker than most other meals I make. 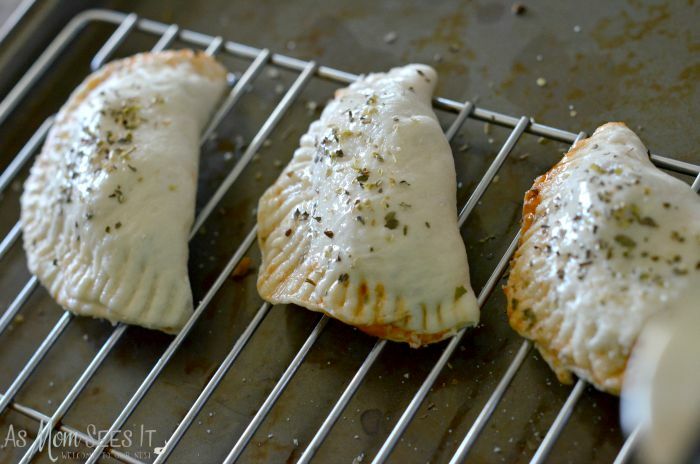 Other than a few seasonings, these mini calzone require only 4 ingredients. 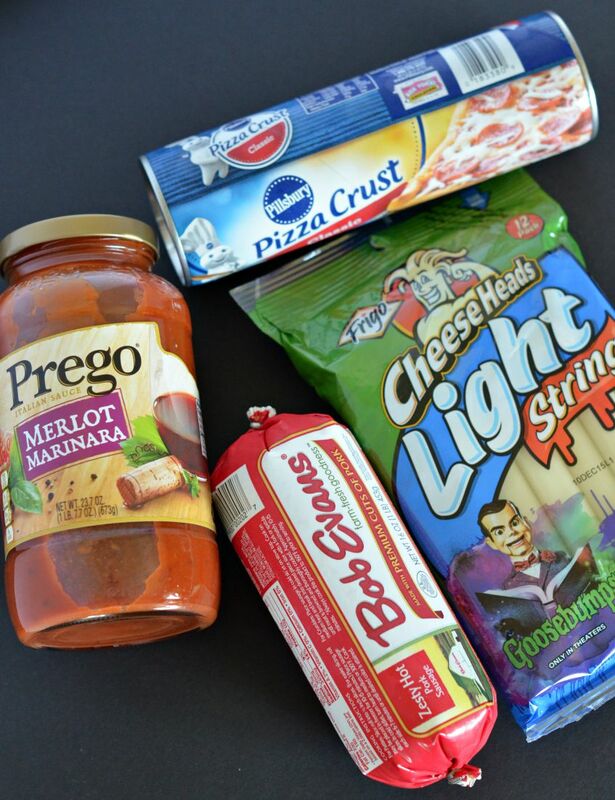 We use Prego’s Merlot Marinara because of the sweet taste, zesty hot breakfast sausage, Pillsbury or store brand pizza crust, and Frigo CheeseHeads Light String Cheese. We try to save on the fat and calories when we can and since this light cheese has such great flavor, sneaking in the light brand is my little secret. 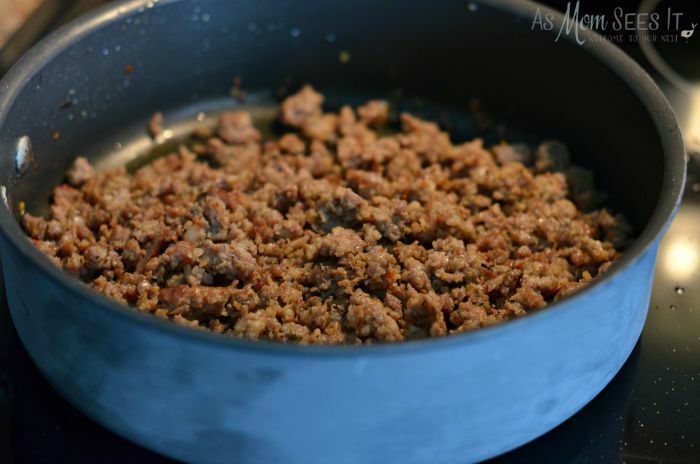 Fry the sausage until it’s well browned. Drain onto a paper towel. 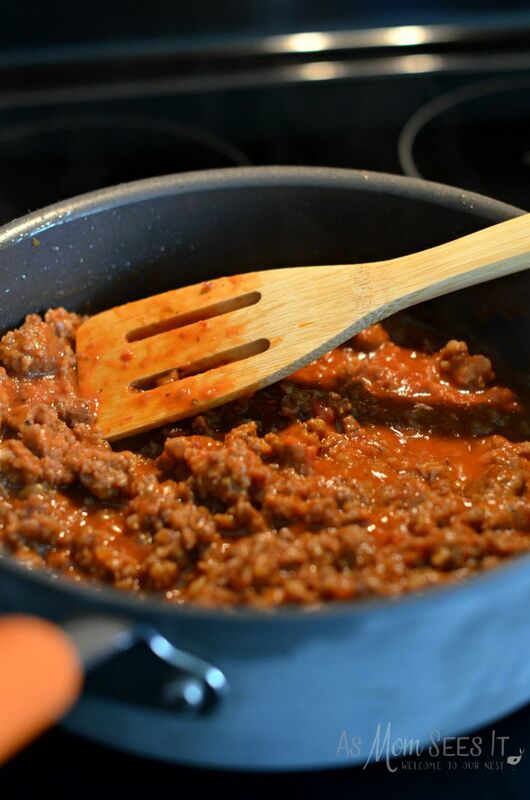 Once the grease is drained from the sausage and wiped from the pan, add the sausage back to the jar along with half of the jar of marinara sauce. Set the other half aside for dipping. Turn off the heat and set the sauce aside. Roll out the Pillsbury pizza dough and roll it out until it’s about 1/3 inch thin. 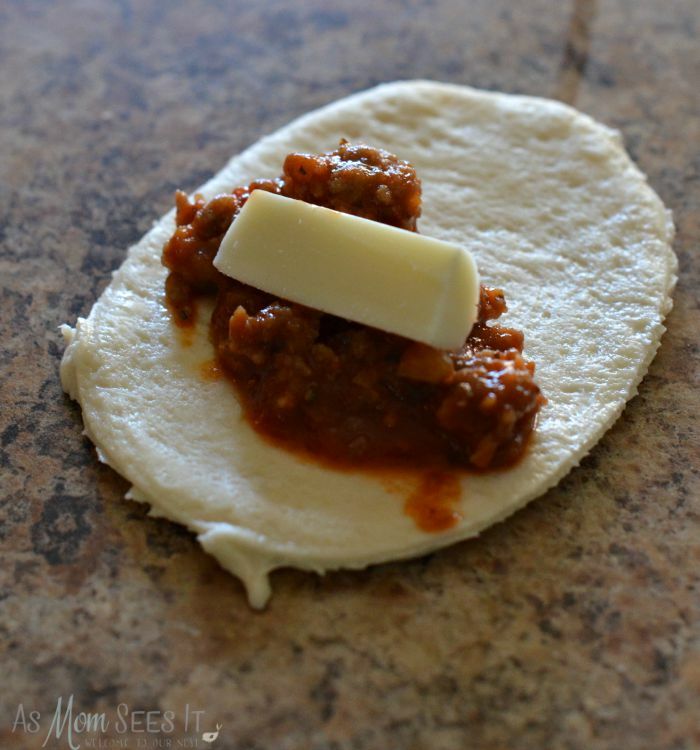 Use a large biscuit cutter or, like me, improvise, to make the dough rounds for the calzones. 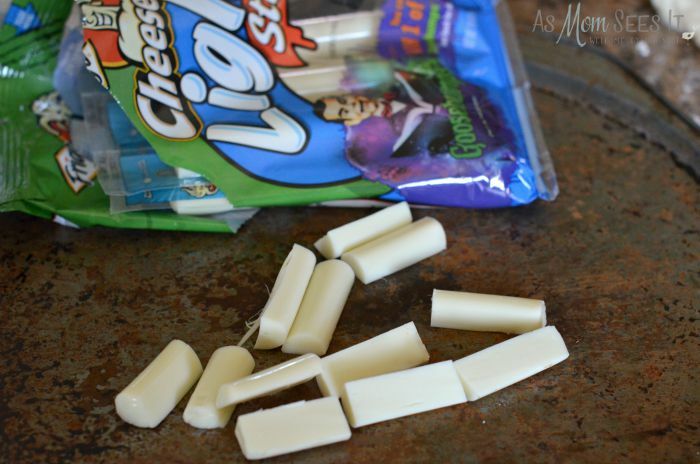 Unwrap a Frigo CheeseHead cheese stick and cut in half lengthwise and into thirds. In each dough round, place a spoonful of sauce and one of the cheese sticks. Stretch the round over to the other half and use a fork to seal around the loose edge. Once they’re all folded, brush with egg wash (just mix the white of an egg with a little bit of water) and spring oregano, basil, and garlic over the top of each. Bake at 400 degrees for 15 minutes. Serve with the marinara that you set aside. Brown the sausage in a pan. Drain the grease. Add 1/2 jar of marinara, setting aside the other half. Heat until the sauce starts to boil, set aside. Unpackage the Frigo® Cheese Heads® Mozzarella Sticks and cut in half lengthwise, then into thirds. Roll out the pizza dough until about 1/3" to 1/4" thick. 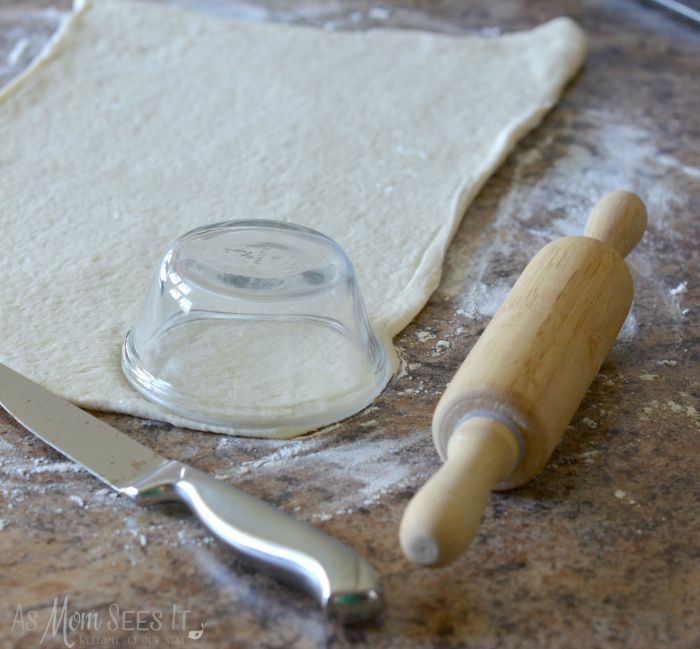 Use a large biscuit cutter to make dough rounds. Put a spoonful of sauce into each of the rounds. Add each of the mozzarella sticks. Fold over and seal the open end with a fork. Brush with egg wash, sprinkle with garlic, oregano and basil to taste. Bake at 350 degrees for 15 minutes. Serve with the other half of the marinara.